The laptop bracket is the most versatile laptop stand on the market. This is the ideal solution for integrating a computer with the DJ set. 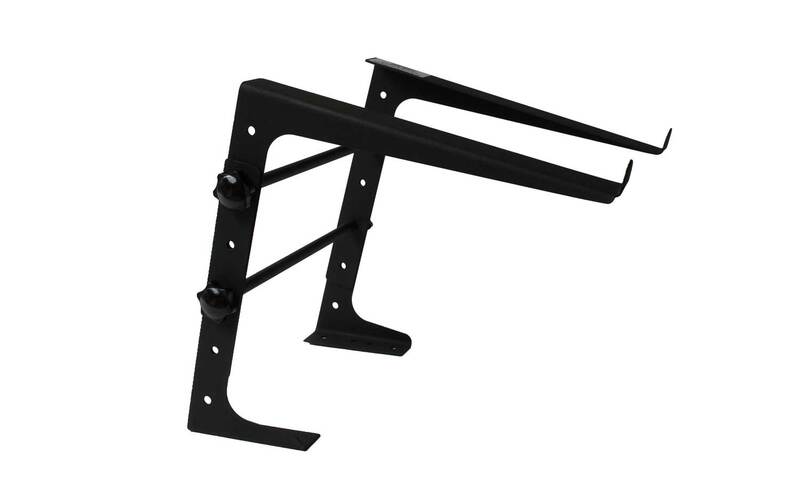 The Laptop bracket is adjustable in various heights with a minimum of 16cm and a maximum height of 29cm. The 27cm long arms support equipment with a width of 22.86cm (9 inches).